South Carolina governor Nikki Haley (R) signed a bill requiring the state to develop new non-Common Core standards. Oklahoma governor Mary Fallin (R) signed a bill requiring to develop new non-Common Core standards. Arizona governor Jan Brewer (R) announced the state’s withdrawal from PARCC, one of the Common Core assessment consortia. The New Mexico Public Education Department is looking into a conflict of interest as Hilary Noskin, founder of a AfterMath Education Inc and also the department’s general counsel, signed a $150,000 contract her company to run an after school program in the state. A judge in New Mexico has ordered that state officials review a protest filed by the American Institutes for Research. AIR claims the bidding process that awarded to Pearson a major contract for developing PARCC assessments was unfair. 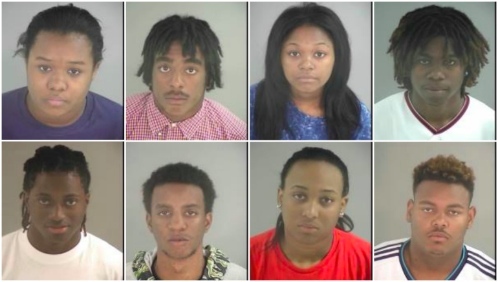 Nearly a dozen high school students in Henrico County, Virginia have been arrested and charged with felonies in connection to a senior prank. “Chocolate sauce, syrup, rice, flour, and eggs were thrown onto numerous exterior areas of the school. …Most of the damage was cleaned up quickly that morning.” But felony charges. Any guesses about why? Hmmm. No charges have been filed against the Santa Barbara High School students whose senior prank involved hiring a mariachi band to follow their principal around. Kiera Wilmot, an African-American honor student who was arrested last year and threatened with felony charges when an experiment in science class caused a minor explosion, graduated from high school this week. She and her twin sister are headed to Florida Polytechnic University in the fall. Chloe Britt was disciplined for wearing leggings to school. Her response was pretty great. Author Cory Doctorow and his publisher TOR Books are sending 200 copies of Doctorow’s YA novel Little Brother to Booker T Washington High School in Pensacola, Florida after the principal cancelled the “One School/One Book” program because OMG “hackers!!! !” (and moreover, political content). Students in Iran can again access “the majority” of Coursera courses. “Business School, Disrupted.” LOL. Wait, no. Not disrupted. Inside Higher Ed’s Carl Straumsheim looks at the Georgia Tech/Udacity master’s degree program, one semester in. A shooting at Seattle Pacific University left 1 dead and 2 wounded. The suspected shooter is in custody. The publisher Condé Nast (publisher of Wired Magazine and The New Yorker) is getting into the education business apparently, offering “accredited college courses.” Because why let Graham Holdings Company (owner of Slate and of Kaplan) have all the fun. Or something. And in related news, Northwestern and Texas A&M Universities and the University of Arizona will stop selling jerseys with individual players’ names and numbers on them. Onondaga Nation members Lyle and Miles Thompson were the recipients of this year’s Tewaaraton Award, “college lacrosse’s equivalent of the Heisman Trophy.” The name of the award comes from the Mohawk for “lacrosse” – a nod to the game’s Native American origins; the Thompson brothers are the first Native Americans to ever receive the award. Charleston Southern University professor Paul Roof was fired when his image (his amazing four-pronged beard) turned up on a beer can label. Lissa Clayborn has been named Acting Executive Director of the Computer Science Teachers Association. California State University plans to hire more than 700 new full-time faculty. The UC Student-Worker Union/United Auto Workers 2865 has reached a tentative contract agreement with the University of California system. A working model of Xanadu! Ted Nelson, who coined the term “hypertext,” has been working on the project since 1960, and Xanadu still points to a radical vision of computer-based composition. Apple held its annual developers conference this week. I write the keynote announcements, and implications for education, over on EML. The adaptive learning company Cerego is partnering with Mission 31, a project run by the grandson of Jacques Cousteau, to teach oceanography courses. Onarbor is a new site, “intended as a publishing and funding platform for academics, kind of like a Kickstarter for scholarly work.” More via The Chronicle of Higher Education. Note-taking app Springpad is shutting down. The right-wing think tank the Heritage Foundation is launching an education news site that will be “accurate, fair, and trustworthy.” Of course it will be. So here’s the thing. 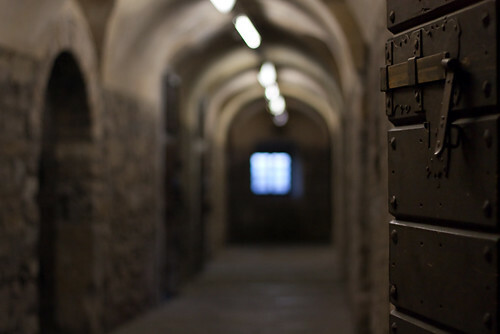 You need to control your own domain. Build a digital portfolio. Maybe post your resume there. Handing over that data and responsibility to LinkedIn is a bad idea. You know what’s probably even sillier? Trusting your LMS with it. Politico reports that Facebook has applied for a patent for “letting children create accounts with parental supervision” (because the only ones who want to join Facebook these days are those under 13). Google boasts that Chesterfield County, Virginia schools have purchased 32,000 Chromebooks for the next school year. Google also added support for multiple accounts to its Google Play for Education tablets. iParadigms, maker of the anti-plagiarism software TurnItIn, has been acquired by the private equity firm Insight Venture Partners for $752 million. Students whose copyrighted materials were submitted to TurnItIn and used by the company in order to develop its software should expect a cut of the sale oh wait no ha ha ha ha ha ha ha. Chegg has acquired the tutoring startup InstaEDU for $30 million. Digital portfolio company Pathbrite has raised $3.7 million. Investors include textbook company (newly out of bankruptcy) Cengage Learning. This brings to $11.7 million the total raised by the startup. Singapore-based Writepath, which offers “editing services” cough cough for essays and university applications, has raised $525,000 in seed funding. LightSail Education has raised $1 million, bringing to $4.5 million the total raised by the CCSS-aligned literacy app-maker. Critical thinking lesson-maker ThinkCERCA has raised $1.5 million in seed funding from Chuck Templeton of Impact Engine Accelerator, GSV Advisors’ Deborah Quazzo (founder of GSV Advisors), Bob Montgomery, Nessan Fitzmaurice and Abundant Ventures, reports Edsurge. AP test-prep company Learnerator (OMG, that name) has raised $300,000 in seed funding. Digital storytelling app Night Zookeeper has raised £355,000 in funding. Moody’s has downgraded the credit outlook for Laureate Education (which runs a number of for-profit schools and is an investor in Coursera). The National Center for Education Statistics has released new data on distance education enrollments. A study has found a link between school finances and the ability to implement “personalized learning technologies.” Shocking. A survey of more than 2 million people by the UN finds education to be a top priority. Ruh roh. The Association of American Publishers says that purchases of instructional materials are down this year. Ariel Norling has taken down a blog post she published on Friday, detailing predatory behavior and sexual assault at last year’s ISTE conference. It’s been pretty goddamn awful to watch the fall out from this: personal attacks, refusal to take responsibility, silencing tactics, and a focus on individual actions rather than on the larger cultural and institutional issues – all from folks who describe themselves as leaders in ed-tech. Please join me in demanding that ISTE (and other conferences) adopt a Code of Conduct that explicitly addresses harassment. See, while certainly violence at tech events is something we need to stop, there are actually a wide range of hostile behaviors that make these events unsafe and unwelcoming. Here’s the latest example.